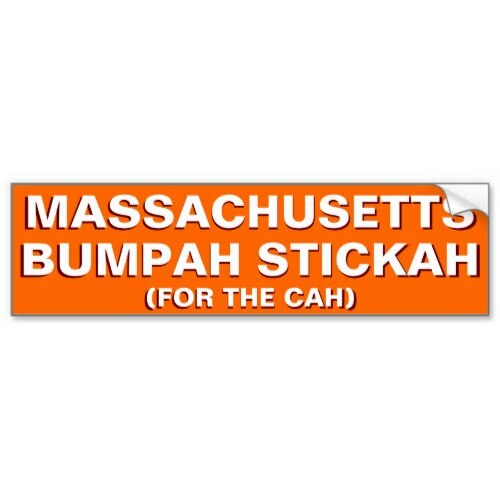 A fun bumper sticker for all Massachusetts license plate vehicles; for all vehicle owners in Massachusetts. Funny, hilarious bumper sticker for your car - MUV - SUV - MPV - ATV - van - wagon - truck - trailer - vehicle. Also makes a fun gift for friends, and family.